Sometimes running alone is not safe. If you have to run alone, you need to find out some ways to keep yourself safe. You can be attacked if you are alone, or you are a female or you run in the unpopulated area. So, avoid the isolated areas. When you run alone for a long distance, you should tell your mind that you are not tired and you can complete your running. Running is the best idea to keep us fit and healthy and make us ready for all day. 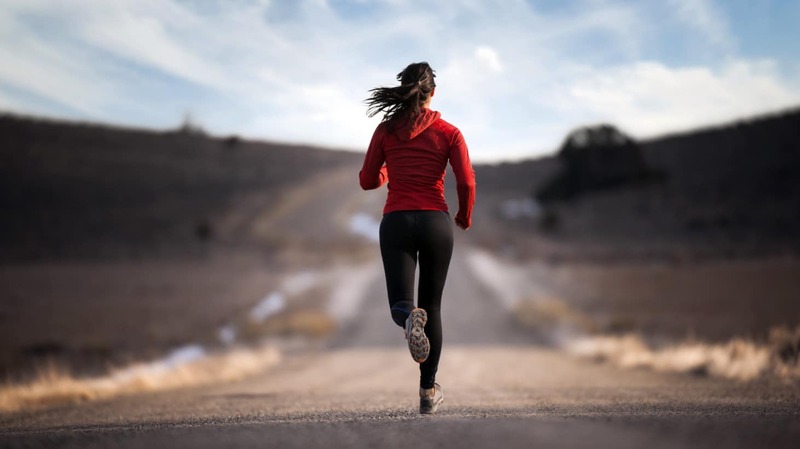 So, take some precautions and keep yourself safe while running alone. If you can find a partner, it will be best for you. Basically, the attackers target one. So, if you have a company, he cannot attack you. Besides, it will make you confident. If two women run and anybody attack, one can shout for help, call someone and also can fight. Your partner can be your friend, your neighbor or your family member. You can avoid running early in the morning and late at night. Before going to your run, you should make sure that anyone of your close knows where you are going. Besides, tell him/her how much time you want to run. It is a great idea because when you fall in any problem, or you are so late, he can take steps to rescue you from any problem. Do not run alone on the routes which are not familiar to you. Try the right running spots which are risk-free and keep you safe. Find out the road that is visited by a lot of people when you run. The lonely place is always risky. Anyone can easily miss a single person on the path. So, when you run, you should make yourself visible. It is important for early morning and night run. Wear bright colored clothes such as yellow or orange. You can also use some reflective gear. Some running shoes and jackets have some reflective materials on them. You can also keep a small flashlight with you to make sure that the incoming traffic can see you. If you make a routine of running on some same days in a week on the same road, it will be easy for you to follow your routine. But the attackers can easily follow you if you do continue it. So change your date and time. Take the challenge of several ways for the run. Try four or five routes of the nearby areas such as hills, roads, pavements. It also helps you to improve your running quality. You can inform one of your trusted friends where you are going to run. Though it is not good to use headphones during a run, you can take a phone with you. If you face any unexpected situation, you can quickly call anyone to help you. Besides, on your Smartphone, you can download a safety app with GPS feature. It will track your route and provides safety. If you face any emergency condition, press the siren button of the app, and it will alert your guardians and records the video or audio that you need later. While running alone, do not use any headphones. That does not mean you should skip your favorite tunes. Using headphones can cause an accident. You may not hear the signal of the traffic behind you. But you can use the portable and external speaker on your phone and take it in the pocket. Besides, you can use volume up on your phone. By this, you can hear your music loud enough. Other people will not mind it because you will fast enough, and they do not listen to your music for a long time. If you know some self-defense tricks, you can do something if someone attacks you. You should follow two things to fight back effectively. When a person tries to do Bearhug, he can easily carry you. You can drop your base and try to make yourself heavy. Blend your legs and drop the level of the hips. It will lower the center of the gravity and someone cannot easily pick you up. The second method is to create some space between the attacker and you. You can send strikes. When you get the room, you should get away from there. Then search for help as soon as possible. You should run facing traffic. Keep your eye on the cars that are potentially turning and crossing the way. Keep your eye on the front side that someone makes the right turn. When you pass any road, crane your neck to see around. You can carry a pepper spray with you when you go out for running. But you should follow the city law because the city rule can be that pepper spray is for proper use. Besides, you should know how to use the spray and when you should use it. Another way that makes you confident is that you can keep your pepper spray visible. You should keep your privacy safe on the social media. It is not a good idea to share everything on the social media like Facebook, Instagram, etc. Keep safe your private road because anyone can trace you by following you on the social media. Even do not share the route to all of your friends. It can be risky for you. Safety is the first thing in our life. Besides, we need some exercises to keep us healthy. Running is good for our health. But when you come out alone to run as the daily basis, you should keep yourself concerned. Follow the above tips for your safety. Run safer and keep yourself safe from all kinds of risks.